Please click here for more information relating to Photographing Schedule one birds and the law. *Other Scottish rare breeding birds will be as determined by the SOC taking guidance from the Rare Breeding Birds Panel. Examples would be Crane and Little Egret. We will not publish photographs known to have been obtained by over-zealous pursuit or where we believe unwarranted stress may have been imposed upon the subject (with particular emphasis on photographs of nests and/or nesting birds). At all times photographers must respect the welfare of the birds (please refer to the Birdwatchers’ Code). The SOC reserves the right not to publish photographs at our discretion. All photographs are subject to approval before going live and will not immediately appear on the site. If you would like any guidance on uploading your images, please get in touch with us. Please resize all images so that the maximum length of the longest side does not exceed 1100 pixels. Image file size should be an absolute maximum of 2MB, ideally less. 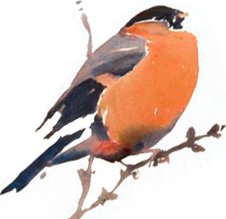 Please be selective in the images you submit to the gallery and choose only your best images for upload (up to a maximum of three of the same species but these images should all be markedly different or show different aspects of the bird’s identification). Every quarter, an image that has been uploaded to the SOC website is selected and featured in the PhotoSpot section of the SOC’s quarterly members’ journal, Scottish Birds. Upload your photos now to be in with a chance of your image being chosen – it’s open to all! Please select undisclosed if site/species sensitive to disturbance. Select unknown if you are unsure of the location. Please do not repeat information you have already entered/selected for, this area is for anything new you would like to add about the image e.g. light, weather conditions when photographing or about the equipment you used to get the shot. The Club is trying to build a bank of images for SOC use only (i.e. in Club-related literature and web material). If you’re happy for the SOC to use your image in this way, please tick the box (any images used will be credited to the photographer).